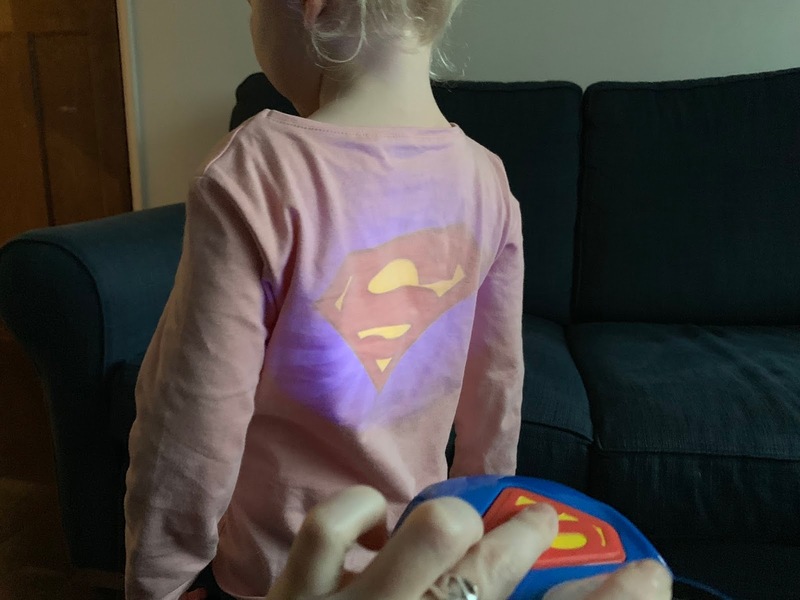 My youngest is really into her superheroes at the moment; they are her favourite things to draw (so she says, I haven’t yet managed to distinguish any of her pictures) and she loves to run around with a cape on, maybe with the addition of a magic wand too because why not? 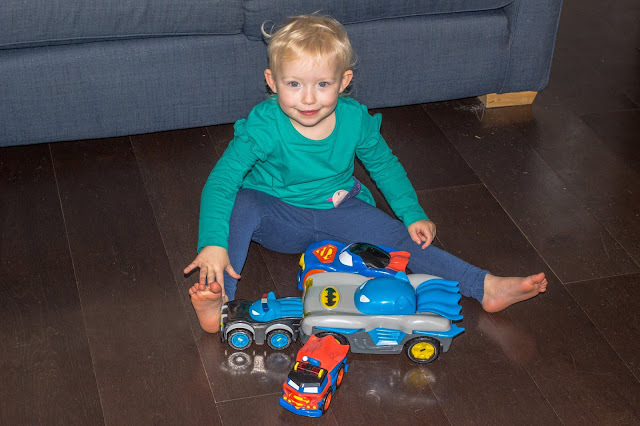 She was really excited when we received a selection of Herodrive vehicles to review and both she and her big sister have been playing with them regularly since I let them get them out of the box. 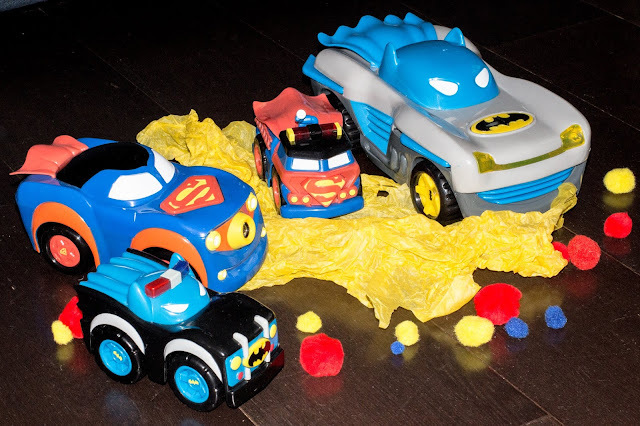 The Herodrive products from Funrise feature a range of vehicles mashed up with DC Super Friends characters like Batman and Superman. 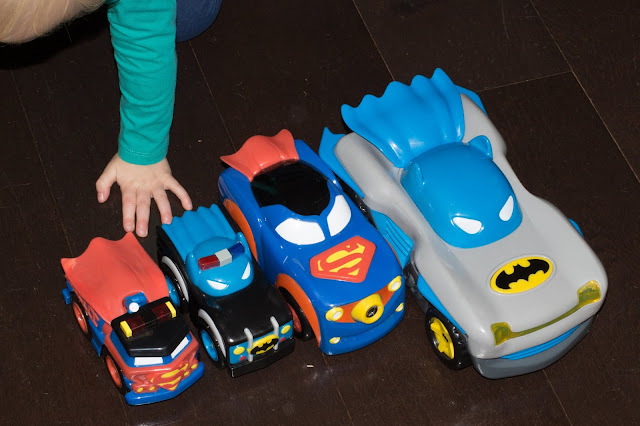 They are designed to be fast and fun for preschoolers and we were sent: a Batman Racer, a Superman Signal Squad Car and two Mash Machines to review. Signal Squad cars project a superhero signal when you press the logo on their hood/ bonnet. We have the Superman car so it projects the “S” symbol recognisable from the Superman’s chest. 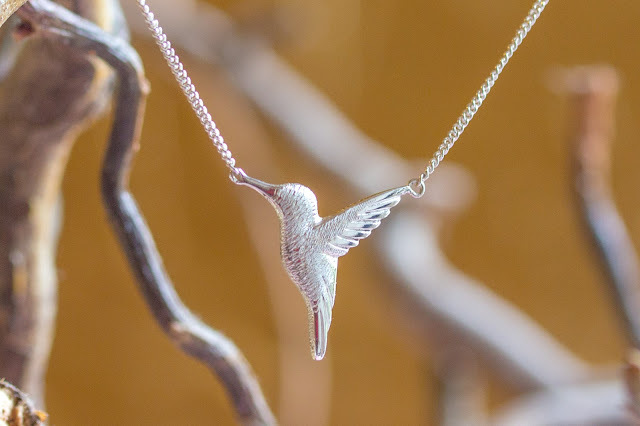 You can’t see the projection that well in daylight, but if you turn the lights off you can project it clearly on to the ceiling or other surfaces. Signal Squad cars are £12.99 RRP. 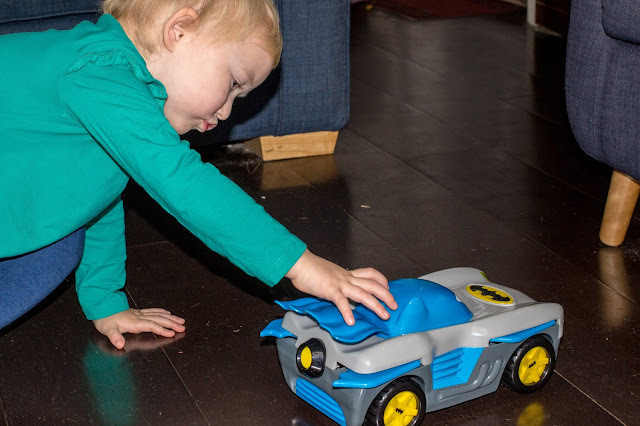 The Herodrive Batman racer is the largest vehicle in the range at around 30cm long. It plays a short burst of theme music when you press the logo on the car hood and also makes car sound noises if pressed again. If you pull up the Batman cape it makes the wings pop out and turns it into racer mode. You can then press the logo twice and the motorised car moves forwards with the cape flapping behind. Just make sure it isn’t “Try me” mode (there is a switch on the bottom) or it won’t move. The Batman Racer is £24.99 RRP. All three types of vehicle roll really well so you can zoom them across the room. The Signal Squad car doesn’t make a sound but the Batman Racer and Mash Machines do, the sound is quite loud and there isn’t an off switch on the Mash Machines. 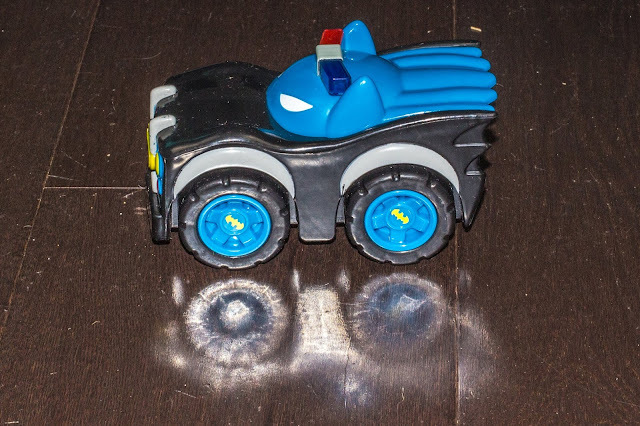 You can turn the Batman Racer off, but it doesn’t seem to stay off for long in our house. All the designs we were sent are chunky and well made so they can survive boisterous toddlers driving them into furniture at high speeds. 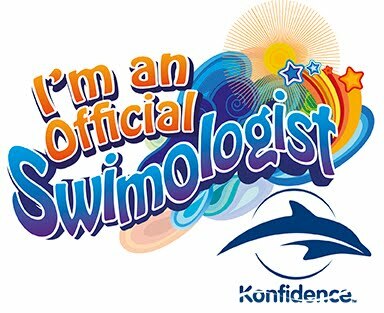 They are recommended for age 3 plus, but I would feel confident with younger children playing with them supervised. Even the Mash Machines (which are the smallest of the products we received) are quite large and they should last well until children want to move on to smaller and more intricate vehicles. 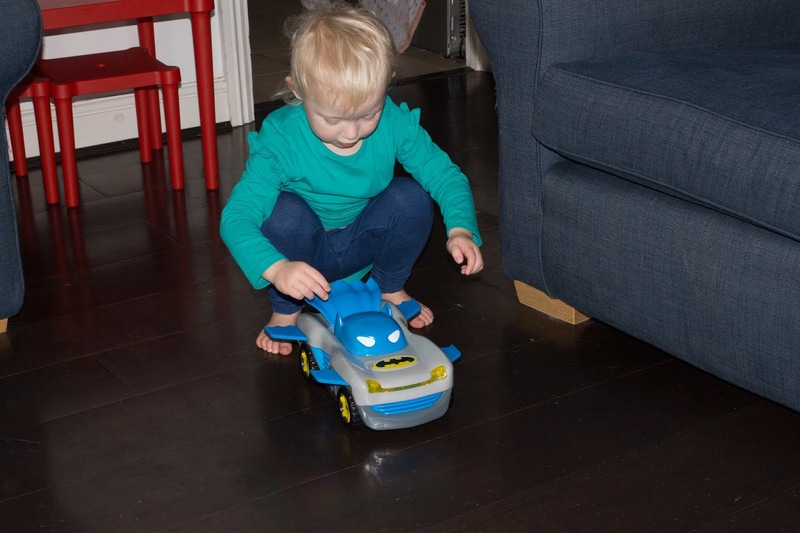 Most of the colours on the cars are from different plastics rather than paint so while there are bits that will get scratched it won’t stop them from looking bright and fun. 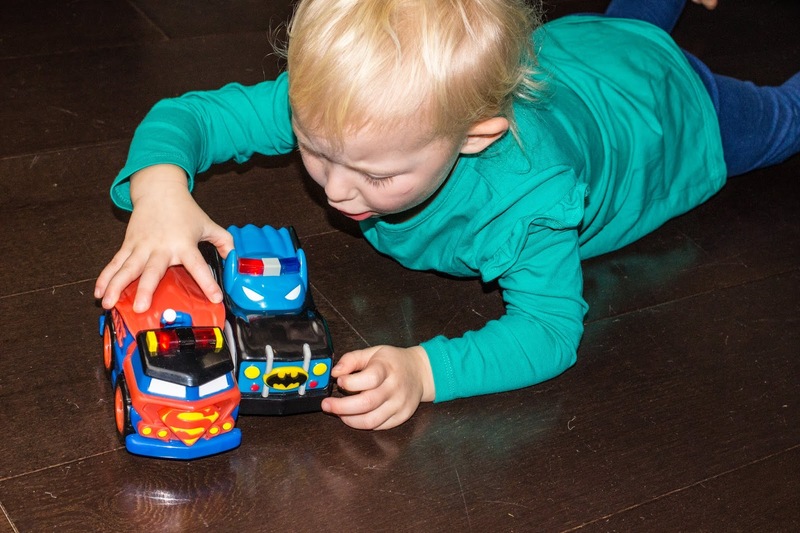 The cars are great to play with and would be entertaining even without the additional battery powered features. 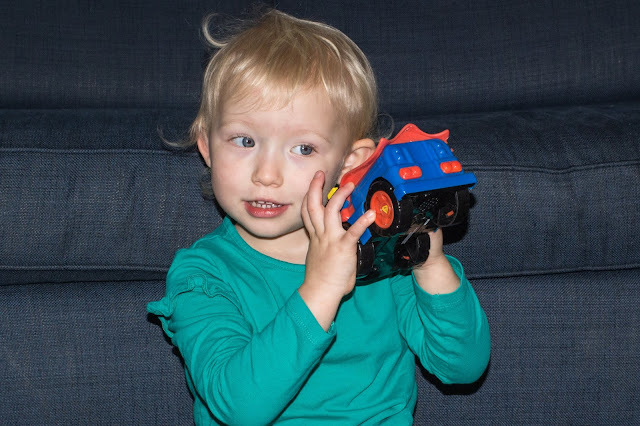 My youngest daughter loves the Herodrive vehicles. As soon as we opened the box she couldn’t stop pressing the buttons and I had to get one out of the packaging straight away so she could play with it. Handily the packaging is easy to get into without scissors or other tools and there are batteries included so she could start playing with it really quickly. As well as the products we were sent there are a few other types of vehicle available from Herodrive including Speed Squad and Power Pals. The Flash and Joker mash ups are available in some of the products. 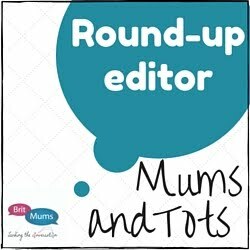 Also available from Hamleys and in ASDA stores from February.